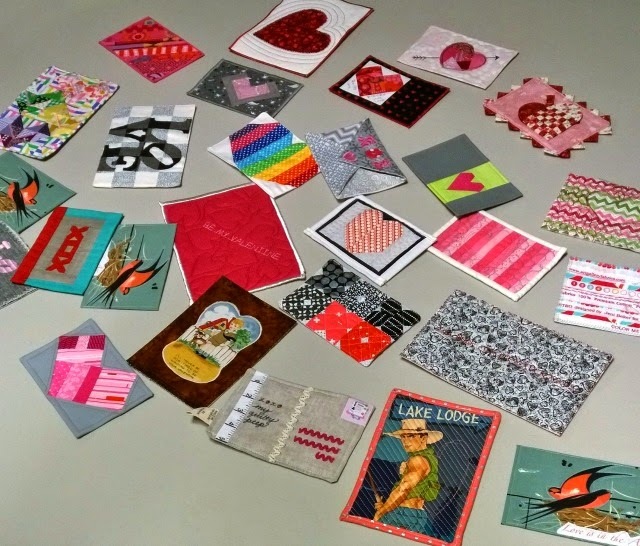 Earlier this week, there was a Valentine quilted postcard swap at our SMQG meeting. 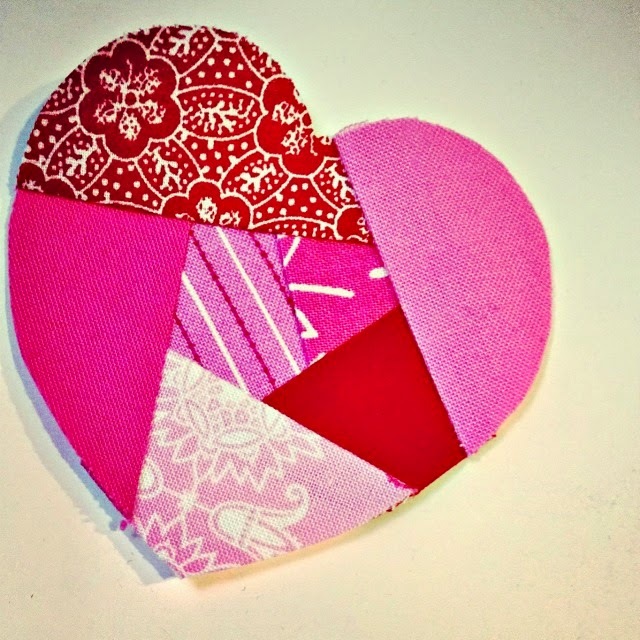 I began mine by making paper-pieced hearts, and then referred to the tutorial on Quilted Postcards by my guild-mate Louise/I'm Feelin' Crafty for finishing. 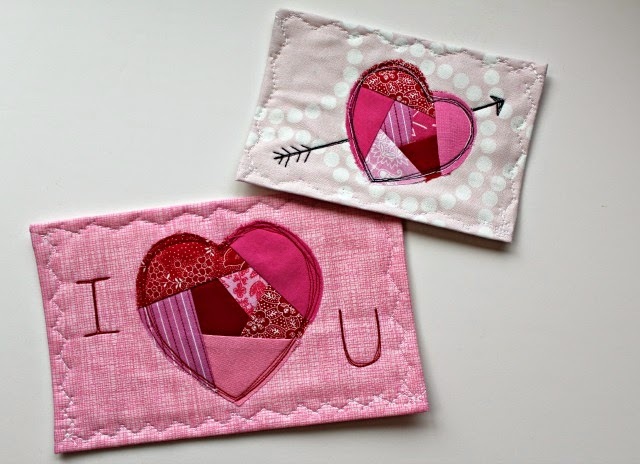 I used raw-edge applique to attach the hearts to the backgrounds, and thread sketching to add a little detail to each. Here's just a glimpse of the variety of postcards swapped. Sweet, no? Happy Valentine's Day Debbie ! These a great, what a lovely idea. Happy Valentines day to you too. I love the postcards! What a great idea! They are all so fun. That was such a great and fun idea for your guild members! Good times! These are adorable! I love them! Do you know who got them?